Designer Con is a convention that incorporates everything in the world of design including apparel, plush, printing, sculpture, designer toys, and art ranging from fine to urban. At this year’s event in California, Evilos will once again have a ton of customs and figures for sale. 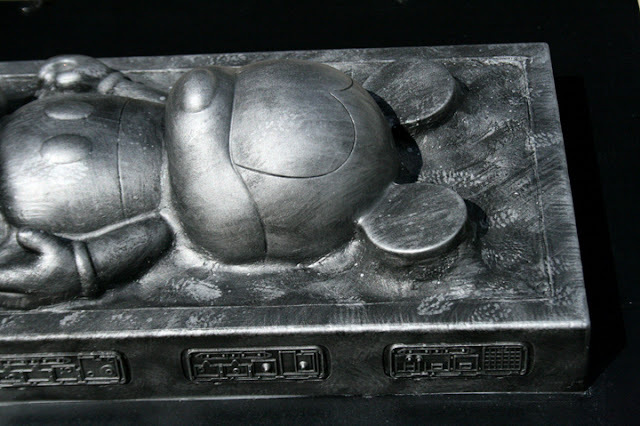 Including the 12″ Mickey In Carbonite which will be on display and available for purchase a few weeks from now. 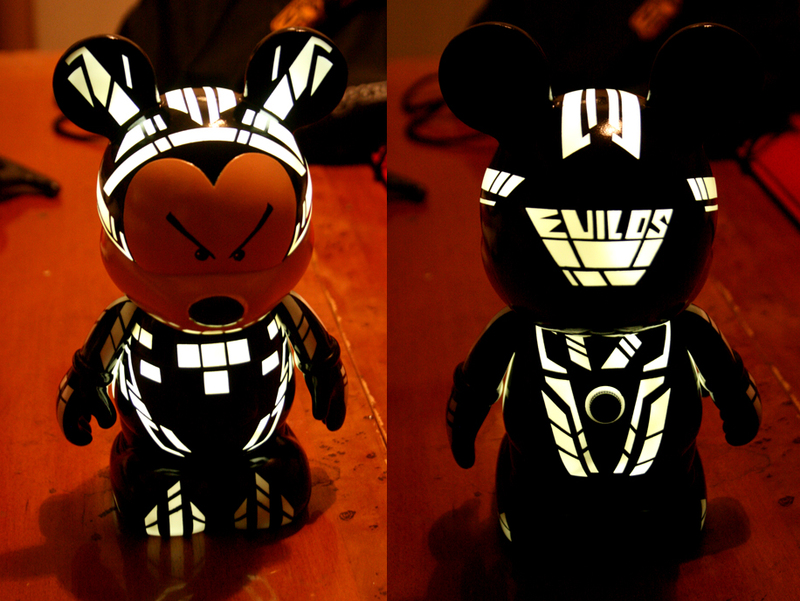 Jedi Mickey will be among the many well known customs on display and for sale by Evilos. 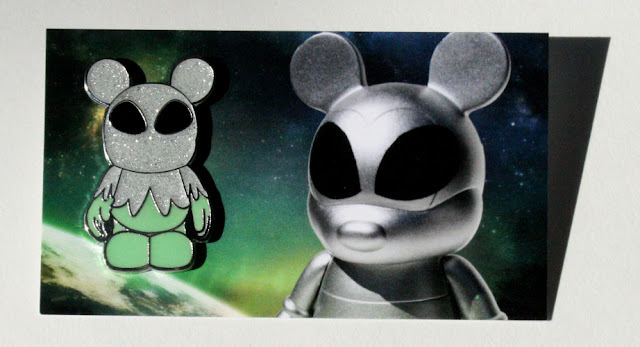 5″ Mickey In Carbonites will be $50 and Mickey in Carbonite Jr’s will sell for $20. His DCON Exclusive will be an Alien Pin (No.7) that will be $15 and limited to 100 Signed and Numbered pieces. Some of the Blind Bags Series 3 customs will be on display as well. Disney Store Artists Gerald Mendez, Erique Pita & Nacho Rodriguez are also scheduled to be guests at the event. Visit http://evilos.com for more info on Evilos. Tickets are $5 Online and $7 at the door. His work is incredible! He’s definitely one of the best artists out there! I hope that those who attend will stop at his station and see these guys in person! Thank you John for all the kind words! I wish I could go! 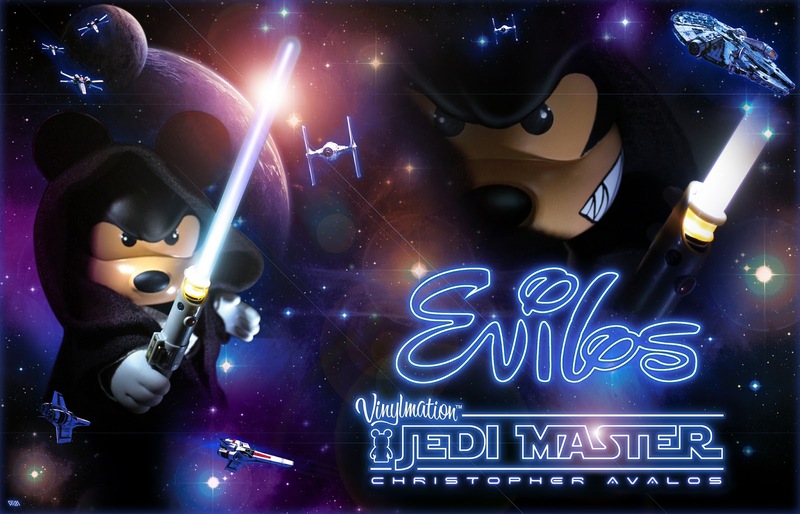 The Jedi Mickey is incredible! Thank you, all my SW Customs are more meaningful after today! Thank you everyone who came by, we had a great show. I will send Nick and MC some photos tomorrow for a wrap up! I appreciate all the love and support! Designer Con was a blast!